Few native trees are more deserving of appreciation, yet fail to receive it, than the common hackberry. Grows in a rounded, vase-like shape? Check. Is drought and salt tolerant? Check. Supports a wide array of wildlife? Check. 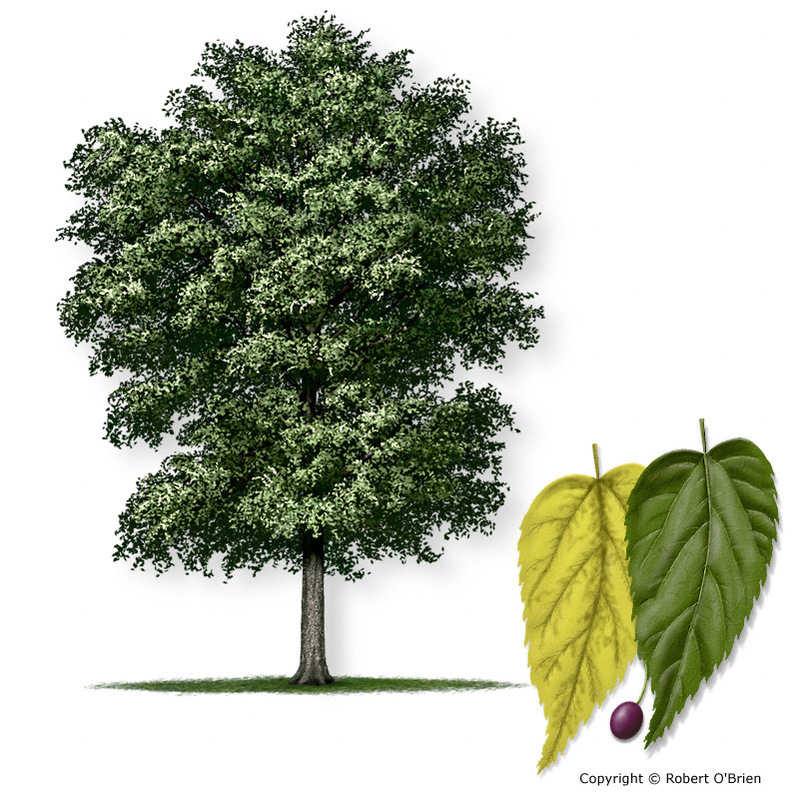 Hackberry grows into a moderately large tree, reaching 40-80 feet in height with a similar width. It prefers full sun, and its fast growth rate means that it works well as both a shade tree and an ornamental tree. Because the tree has few diseases and performs well in dry and windy areas, hackberry can be a fabulous choice in places where maintenance must be minimized. The tree is a distant relative of the American elm, but is actually in the Cannabaceae plant family, which means that it is more closely related botanically to Cannabis and Humulus (hops). Hackberry may drop its leaves early when drought hits or when grown in containers, but you shouldn’t worry about buying a small tree that looks less than 100%: after a year in the ground they are true beauties. 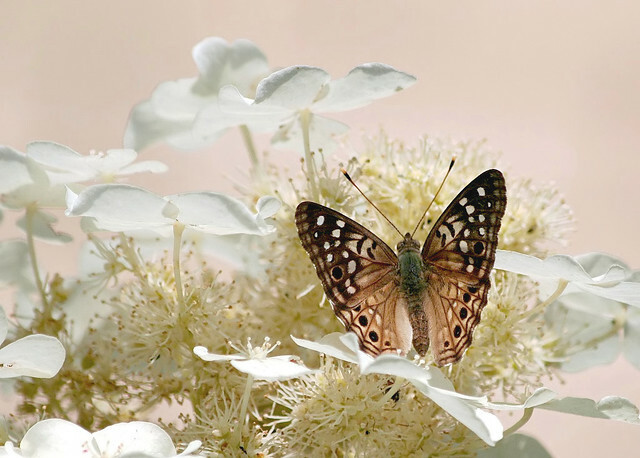 Hackberry Emperor by Ken Slade, on Flickr. Many birds will eat the fruit of the hackberry including waxwings, mockingbirds, and robins. The leaves are also a host for many attractive species of butterflies like the hackberry emperor (Asterocampa celtis), American snout (Libytheana carinenta), and the question mark (Polygonia interrogationis). Hackberry is such a valuable tree that we often offer it for sale at Herring Run Nursery, and it is generally one of the species we include in Blue Water Baltimore’s Tree Give-Away events in Spring and Fall. Be sure to check our events calendar for nursery sale dates and free tree events so you can add this under appreciated native beauty to your yard.